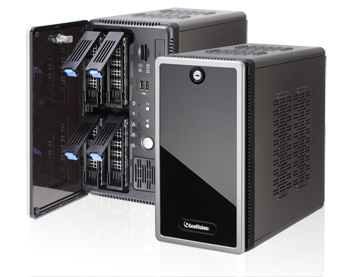 The GV-Tower DVR System comes with 4 hot swap drive bays for the storage up to 16 TB. 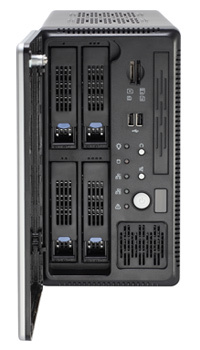 This system has two CPU options: i3 and i5. The Intel Core i3 processor is based on Sandy Bridge architecture, while the Intel Core i5 processor is based on Ivy Bridge architecture. 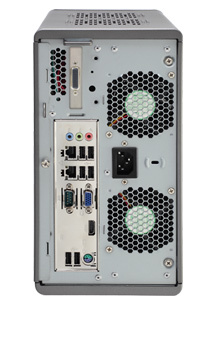 It features the latest upgraded DVR system and 64-bit Microsoft Windows 7. GV-Tower DVR System supports 32 channels with up to 16 channels being hardware compression analog channels and the rest being IP channels. With additional license, connection with up to 32 channels of third-party IP devices is supported. You can also bring the surveillance on the HDTV with a HDMI cable. It is a towering, affordable, and efficient DVR system that you have ever seen.